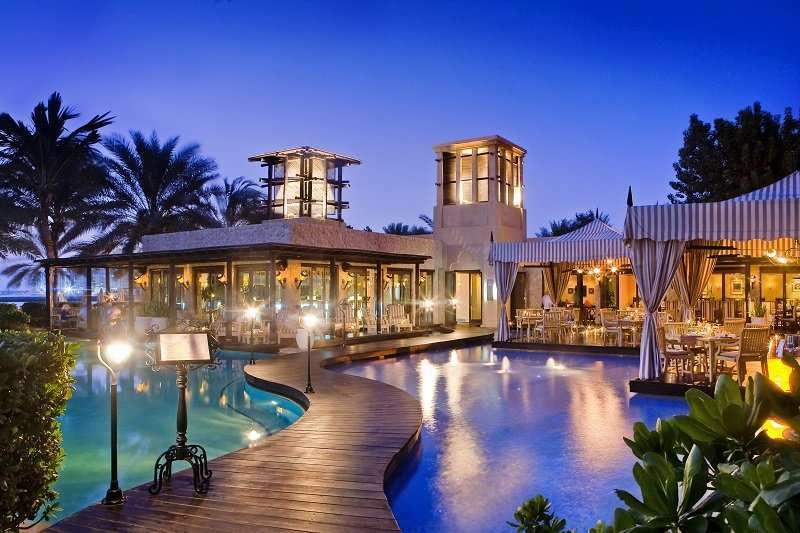 Located at the opening of the Palm Jumeriah, the One & Only Royal Mirage hotel is considered Dubai’s most stylish beach resort and is unlike any other accommodation in Dubai. 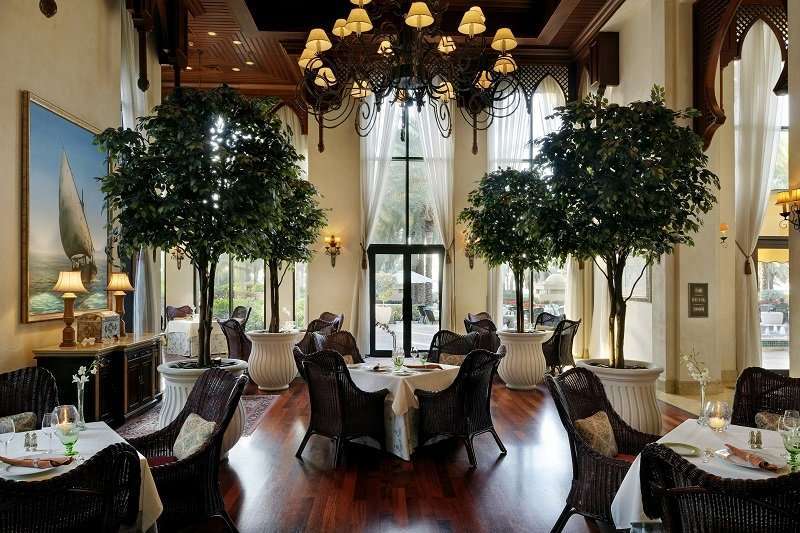 Set in 65 acres of lush gardens, this property exudes elegance. Guests are also spoilt with access to a kilometre long beach; one of the widest beach fronts of any hotel. 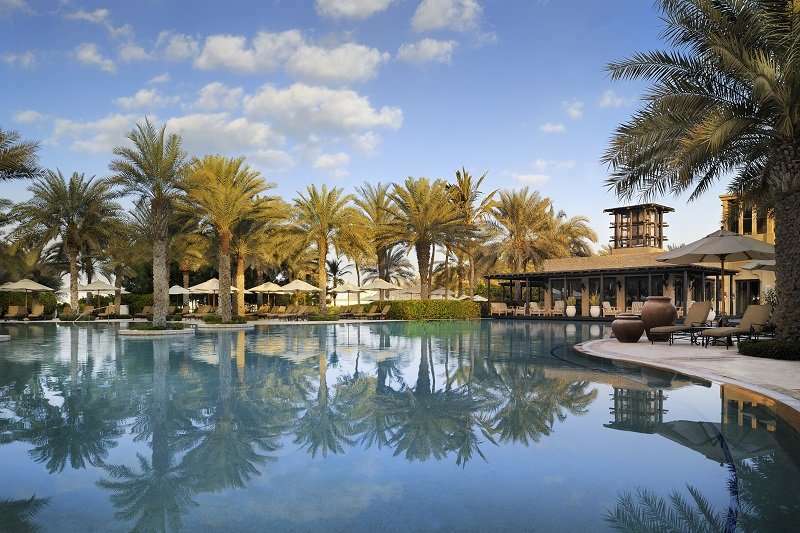 In this resort you really do feel like you are in a world of your own inside Dubai. This property is conveniently located just 30 minutes away from Dubai International Airport by car, and is positioned at the mouth of the Palm Jumeriah, the world’s largest man-made island and is in the top 10 wonders of the world. 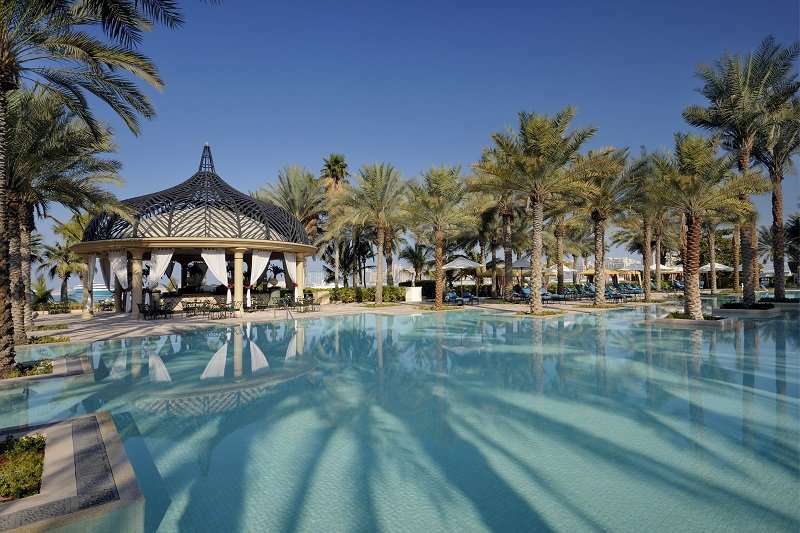 In Palm Jumeriah, tourists can visit the Aquaventure Waterpark (the largest waterpark in the world) and the Lost Chambers Aquarium. At Dolphin Bay visitors can swim amongst dolphins in palm-fringed lagoons. This property is also just 20 minutes away from Dubai Mall, the largest shopping mall in the world. Rewarded by the IAGTO with the award ‘Established Golf Destination of the Year’, Dubai is a fast growing golfing destination. This has also been shown when it became the home to the elite PGA Dubai Desert Classic. 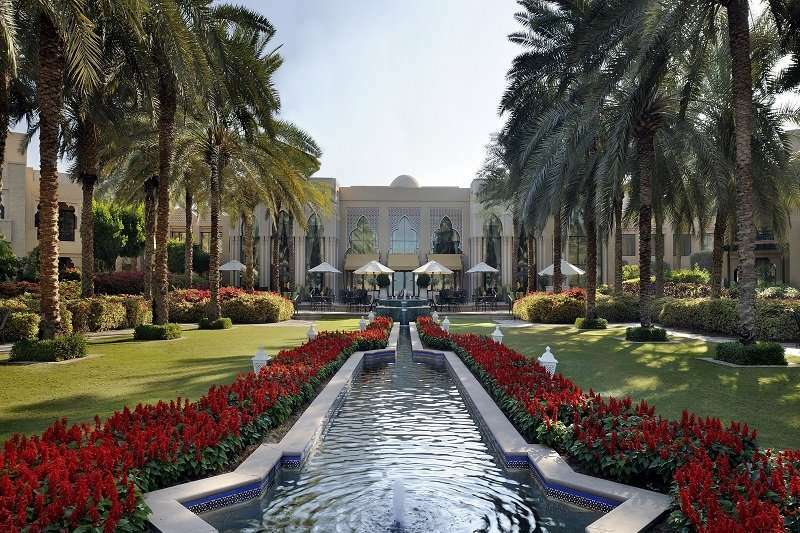 The Emirates Golf club including the Majlis and Faldo golf courses is just an 8 minute drive away. Furthermore, The Montgomerie is 11 minutes away by car. 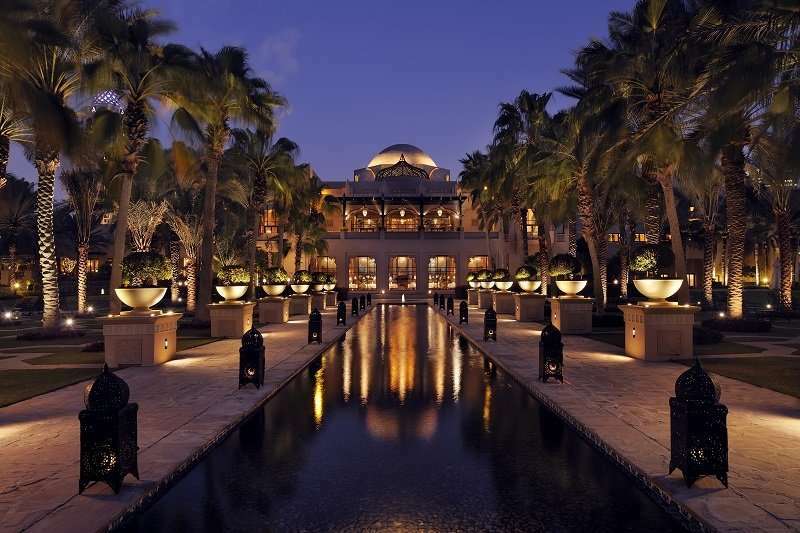 The resort is divided into three environments: the Palace, the Arabian Court and the Residence and Spa. 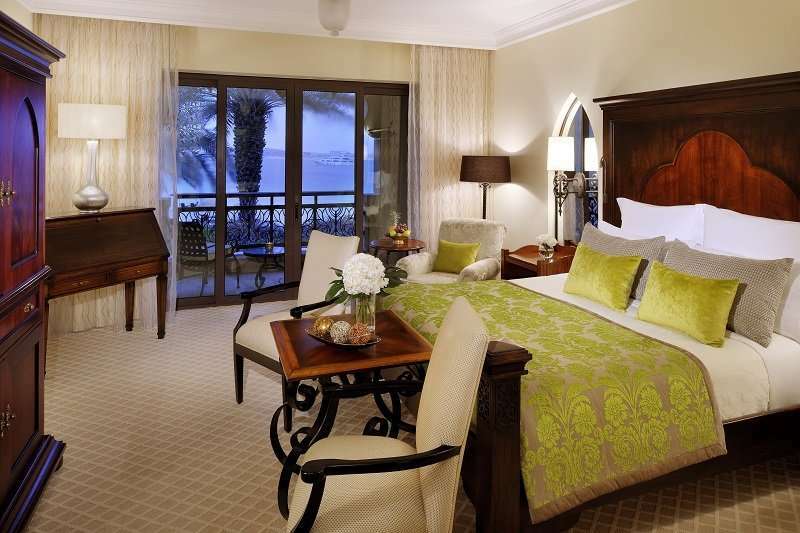 The Palace offers 231 luxurious beachfront guest rooms whereas in the heart of the resort is the Arabian Court which features 160 guest rooms and 10 suites. The Residences offer guests exclusive privacy and luxury all adjacent to the resorts fabulous spa facilities. 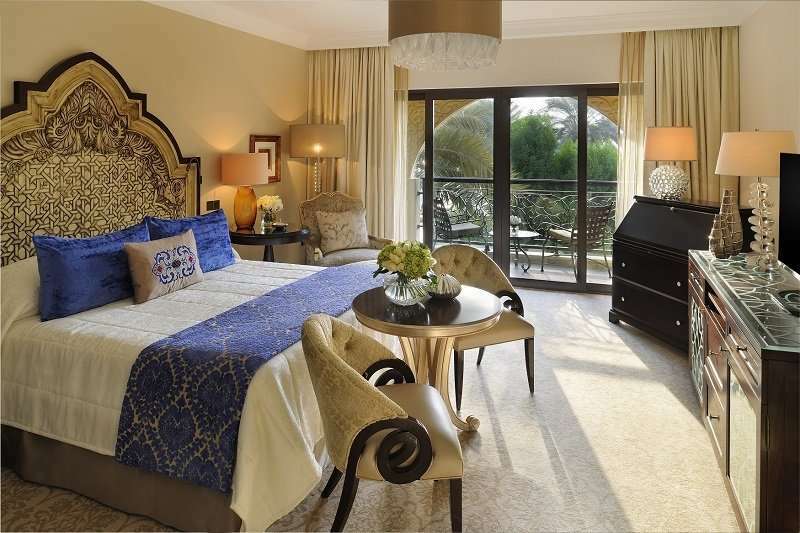 All rooms carry true authentic Arabic style shown in the most luxurious interiors. They feature plush drapes and bed spreads, and spacious marble bathrooms. 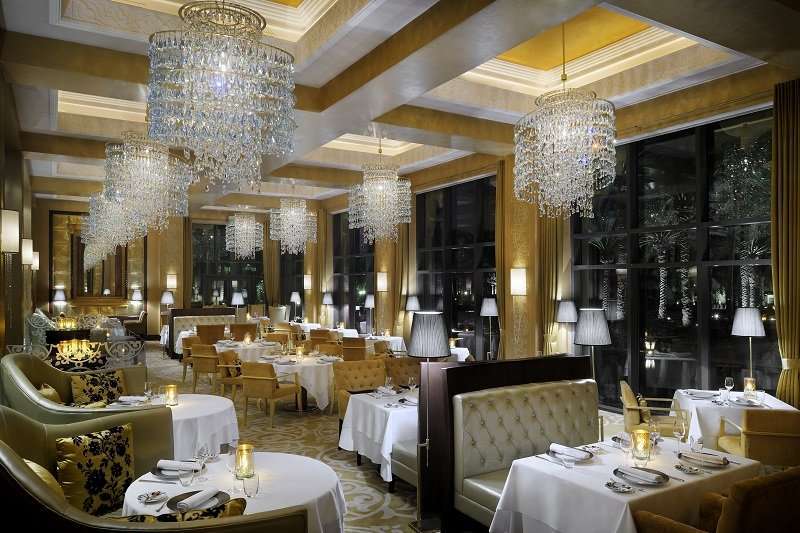 The hotel has seven restaurants to choose from with food to rival the very best in the world. You could stay in this hotel for weeks and never feel the urge to leave! 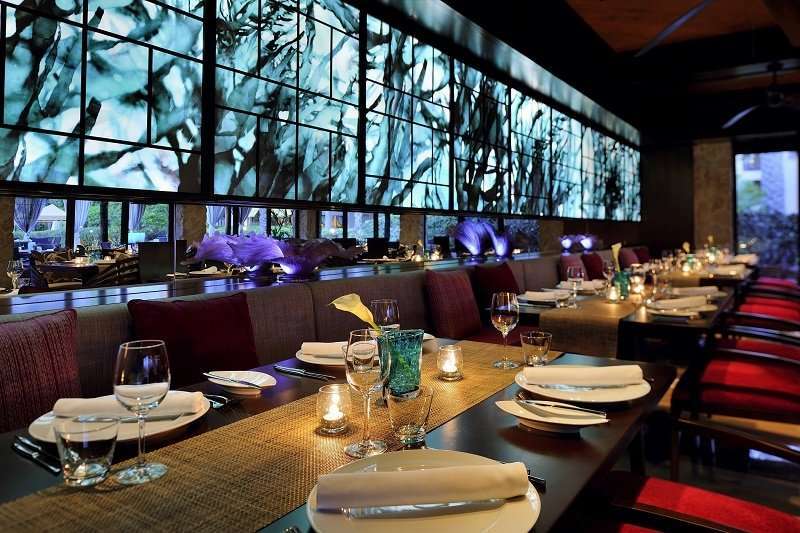 Guests can treat themselves to traditional Moroccan food at Tajine, or Indian food at Nina. 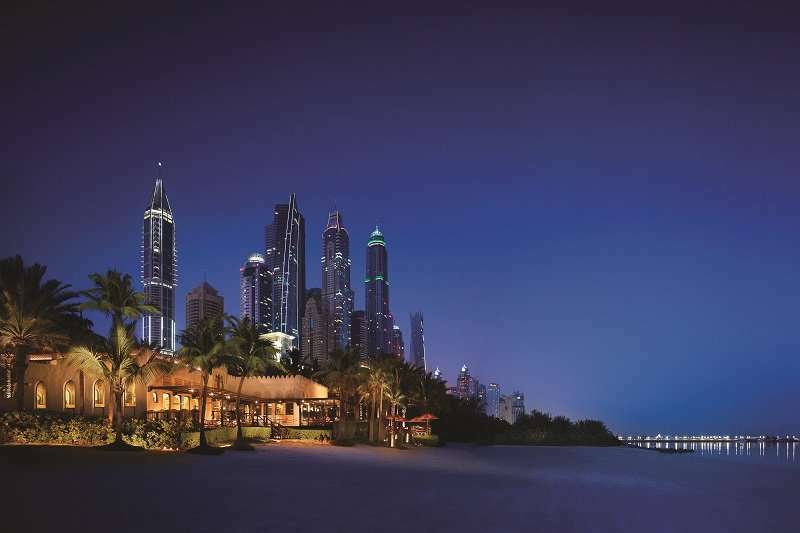 Guests are further spoilt for choice with six different bars including the Rooftop Terrace & Sports Lounge, where they can enjoy bespoke cocktails and watch the sun set over the Dubai skyline. Alternatively, guests can visit the Jetty Lounge, a sophisticated beachside lounge. 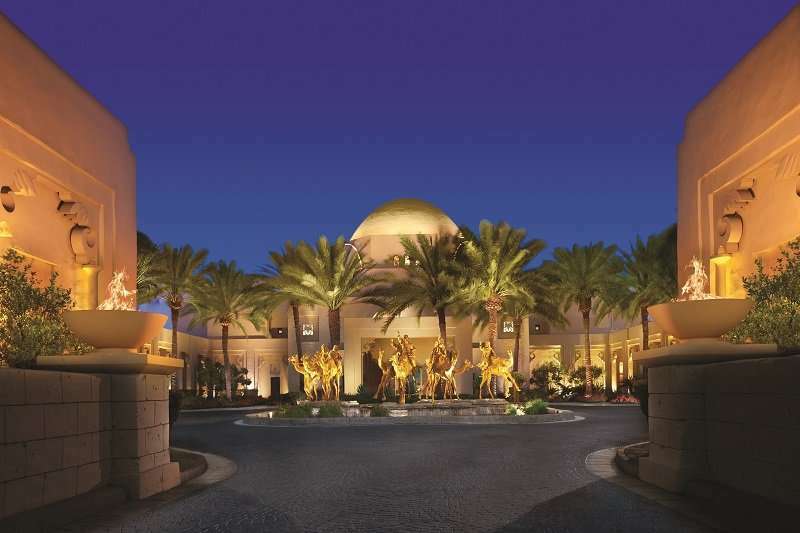 The One & Only Royal Mirage hotel features world class leisure facilities including three temperature controlled swimming pools, tennis courts, a golf putting green and water sports. 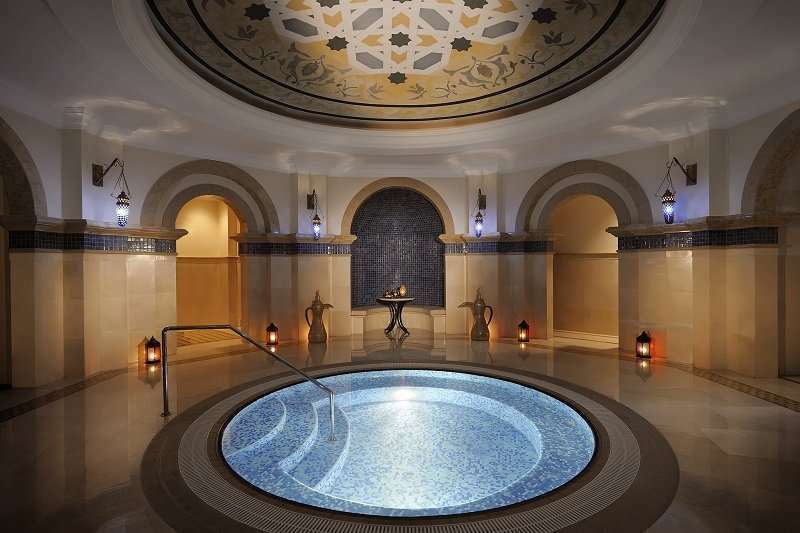 Guests are also invited to experience rejuvenating treatments at the spa.